Two people have to spend exactly 15 consecutive minutes in a bar on a given day, between 12:00 and 13:00. Assuming uniform arrival times, what is the probability they will meet? but my methods felt a little ad hoc to me, and I would like to learn to make it more formal. Also I'm curious whether people think the problem is formulated unambiguously. I added the assumption of independent arrival myself for instance, because I think without such an assumption the problem is not well defined. This is a great question to answer graphically. First note that the two can't arrive after 12:45, since they have to spend at least 15 minutes in the bar. Second, note that they meet if their arrival times differ by less than 15 minutes. If we plot the arrival time of person 1 on the x axis, and person 2 on the y axis, then they meet if the point representing their arrival times is between the two blue lines in the figure below. So we just need to calculate that area, relative to the area of the whole box. I'd say that each of them arrives at some time uniformly distributed on [12:00, 12:45], where the times are independent. They meet if their arrival times differ by less than fifteen minutes. In the interest of not having annoying numbers all over the place, measure time in units of fifteen minutes, starting at noon. Let the first person's arrival time be $X$ and the second person's arrival time be $Y$. Then $X$ and $Y$ are independent and uniform on $[0,3]$ and we want $P(|X-Y|<1)$. Then this becomes a geometry problem. The area in the square $[0,3] \times [0,3]$ which satisfies $|x-y|<1$ is $5$; the area of the whole square is $9$; the answer is $5/9$. I had a hard time envisioning both A and B times simultaneously, so I considered the probability as a function of A's arrival time. Given: both arrival times are in the range 12:00-12:45, so A can arrive at any time in those 45 minutes. If A arrives at 12:00, B is met iff B arrives in the first 15 minutes, so the probability is 1/3. If A arrives at 12:15, B can arrive any time from 0-30 minutes, so p = 2/3. This value of 2/3 remains until 12:30, because there remains a 30 minute window that their times could overlap. 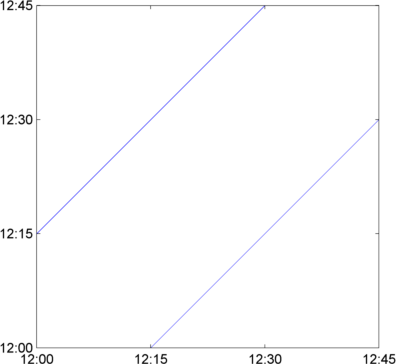 After 12:30, p decreases until it reaches 1/3 at 12:45 (symmetric to the condition at 12:00). not included because this is my first math post. Rather than measure time continuously, lets start with discrete time to try to get a handle on an approach. Divide the time into n equal minutes: d, 2d, 3d, ...,nd where nd= 1 hr. = 60 min. The first person arrives at time jd. 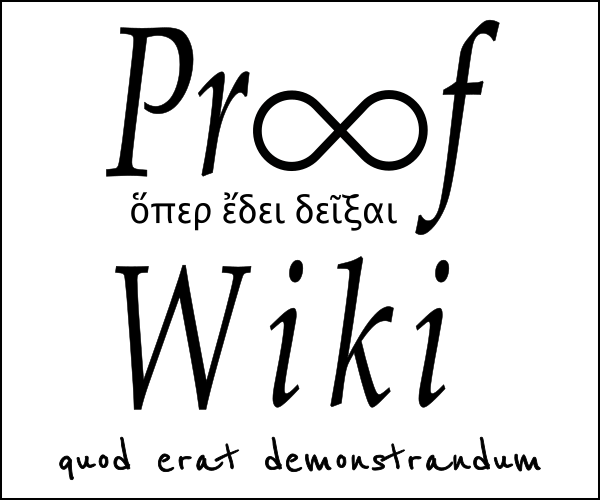 Ignoring end points, the probability that the next person arrives within 15d of that time is (j-15)d to (j+15)d or 30d. Since j can be any of n numbers we have, ignoring end points, the probability is 30d/60d = 50%. That gives us an approach, but we have to take into account the end points, i.e. the time restriction. Well 1/n times the arrival will be at 1d and the sum will be restricted to d to 16d or just 15d. Next is arrive at 2d and sum is 16d, etc. So, instead of a constant function of 30d, we have a ramp function starting at 15d going up to 30d, staying there for awhile and going back down to 15d. Add those up with the proper weights. Not the answer you're looking for? Browse other questions tagged probability soft-question probability-theory or ask your own question. Lunch Meeting Probability for two person to meet in given 1 hour slot and none would wait more then 15 minute. Combined probability distribution function of two uniformly distributed random variable. 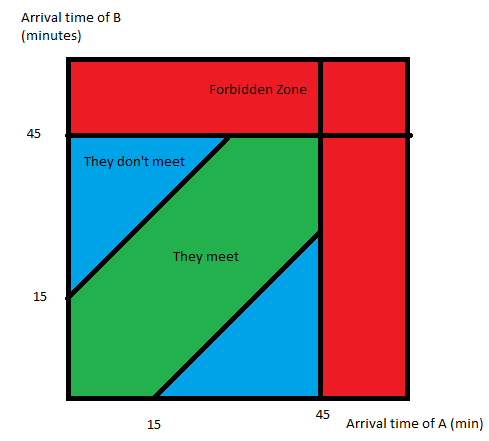 What is the probability of two people meeting?